2017 has been a great year to be a Blue Wren. Whether it’s one of the year’s many software solutions, such as Nugent Santé’s cloud based ERP system, or any number of website projects, it’s been a pleasure to share our progress with our ever-growing client base. This year saw eight new starters join our growing team and contribute to creating positive change across a variety of challenging and rewarding projects. 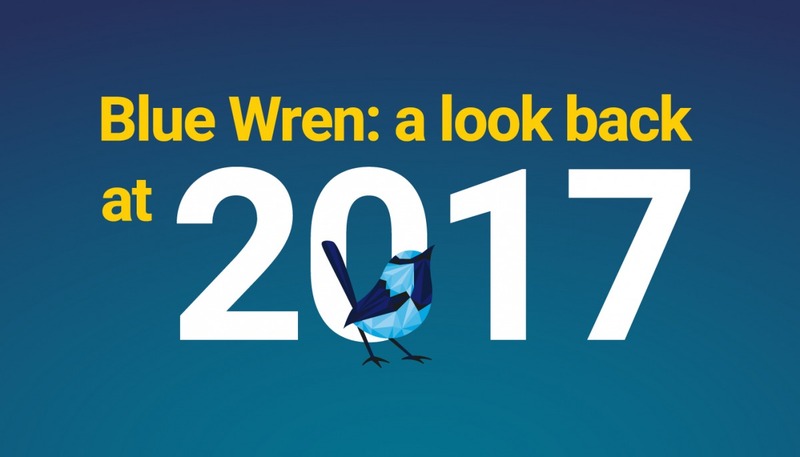 2017 saw the launch of our new website which came with a refresh of the Blue Wren brand. We are also delighted to have achieved Recommended Agency status, thanks to glowing reviews from valued clients. It’s been a great year for connecting with other businesses. The Hoppers Business Network has brought together growing local companies, promoting collaboration throughout the area. We’ve also shared our experience and expertise with numerous publications, both locally and nationally. We had the opportunity to share our knowledge with the developers of the future in last month’s hackathon with UCLan students for St. Catherine’s Hospice, something we hope to do more next year. All we’ve achieved wouldn’t have been possible without the support of our clients. We appreciate everyone who has been part of the Blue Wren journey throughout 2017. Finally, myself and Phil would like to say a big thank you to the team. Their hard work and determination has been crucial to the success of the business, and we’re looking forward to an even better 2018.